Every young student in the US education system thinks they know one thing: if they work hard and try their hardest, they’ll get into a good university and secure their future. Nowadays though, is this really true? 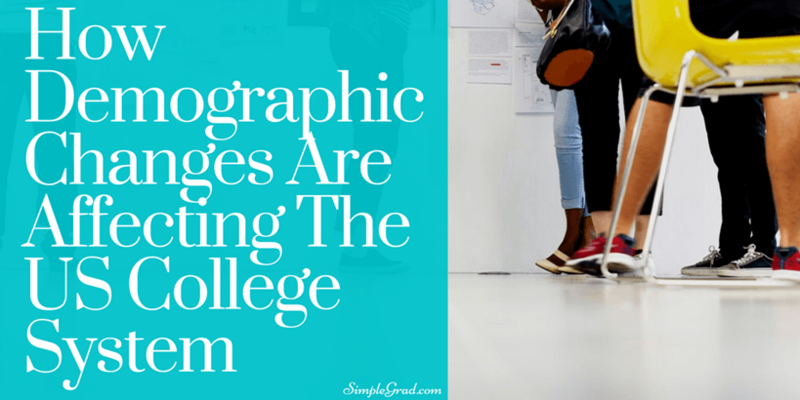 Demographics are changing all the time, and that has meant some huge changes for US colleges. What’s happening, and is this a challenge or an opportunity? There’s no denying that numbers of students enrolling in college are declining. There has been a steady decline over the last 10 years, with numbers falling from 20.6 million to 19 million students between the years of 2011 and 2016. That doesn’t seem like a large number now, but those figures are set to decline further for another decade. In another 10 years, what are enrolment numbers going to look like? As the numbers are declining, the demographics of those applying to college also are changing. In recent years, there has been a large upswing in minority students, notably Hispanic students . As well as this, there are more and more students arriving to college who are the first in their family to attend, bringing new generations into university lifestyles that will only increase further year on year. Finally, male numbers are dwindling, but more female students are now attending college. The image of the ‘traditional’ student doesn’t exist anymore. Although these changes have been happening over time, colleges are only now seeming to take notice and try and keep up. Colleges are just now seeing that the average student they’re getting now look nothing like the average student from ten years ago. That means that they need to catch up with what the students need, and how they can help them settle in. To do this properly, they need to do their research and be prepared to make changes to help those students. Of course, this doesn’t always work. Minority students still feel as though they often don’t fit in, and find that university doesn’t fit them properly. This is often no fault of their own, but really it’s an issue with the college not changing with the times. This survey has found that minority students are less satisfied overall with their university experience. The biggest issue appears to be perceptions of teaching quality. Within the survey mentioned above, as much as 45% of black students, 44% of Asian students and 35% of white students were dissatisfied with the level of teacher that they had experienced throughout their academic year. Those from Chinese backgrounds also felt they weren’t receiving high quality teaching, as only 17% stated they were ‘satisfied’ with the teaching experience they had witnessed in their US school or university. These surveys should show colleges where changes need to be made. Now that more students are coming in from abroad, for example, teaching should take this into account. Whether that’s by improving standards or managing expectations will be up to them. However, all in all, it’s suggested that the number of foreign students is declining year or year. There are many reasons to this (see below) primarily because students are choosing to stay and leave with parents or choosing other university options around the world. There’s been much more diversity in the student body for a long time, so why are colleges still scrabbling to catch up now? That’s because the demographic hasn’t changed at the top of the chain. The dean of a university is more likely to be a white, 60 year old man than anyone else. When this is the case, all decisions made in the running of the university will be influenced by this. However, this isn’t as black or white as it may first seem. At the end of the day, it’s worth remembering that it doesn’t matter what age, gender or race an individual may be when they become the dean of a university, what matters is the way the dean implements the rules and guidelines on campus and how they are fair to everyone. There’s the other issue to be addressed too, the issue of declining enrolment numbers. There are multiple reasons why in the US, many students will be choosing not to go to college, at least not directly after high school. The biggest reason is that of cost. Attending college is a huge cost, somewhere in the region of $33,480 for a private college 4-year course. That’s a huge amount of money, and if parents aren’t in a position to help with finances, then it just isn’t feasible for many students. Instead, they may find work instead and choose to gain experience that way. As well as this, there are those of the opinion that the cost of tuition doesn’t give the student a good enough return on investment. It is true that there are several pathways into the workplace, and nowadays university is often seen as not practical, as it’s costly and doesn’t teach enough hands-on experience. Because of this, potential students are now choosing to go elsewhere. Proof of this comes from the UK. The UK work market is in crisis, especially since the country has an aging population and now more and more young people are heading into university, or were when the article was published several years ago back in 2013. However, the article shares some very interesting information which states that only five of the top 30 fast-growing careers in the UK and the US require an undergraduate degree and that you don’t need to attend university to secure one of these roles. This is why it’s important to realize that more and more students are dropping the traditional path of attending university and are making more movements towards starting at the bottom of a career ladder, getting the relevant training and then making their way up. Finally, there’s the fact that university just isn’t for everybody. It’s true that in the past, university was seen as the one way forward once you left high school. However, it wasn’t the right path for everybody. Many a student has enrolled, started courses, and then dropped out as they found it wasn’t what they were looking for. This can cost them months in their search to find a more appropriate route forward. Take a look at this ton ten list of fastest growing jobs in the US. As you can see, many of these roles are trade technician jobs or medical personnel with only a couple of exceptions when it comes to university-required roles. Who’s Affected By These Changes? Of course, these changes mean that some colleges will be affected more than others. The most prestigious universities will see very little changes to their enrolment numbers and demographics, as they will usually be bringing in students from a much smaller pool. Colleges that are smaller, though, may be feeling the pinch. This is because for many smaller universities, they stay afloat on their enrolment numbers. If their numbers are going down, that means that they may not be able to hit their targets. We’ve already seen the impact this has had on some universities, with them having to make cutbacks. This is even more so the case now that Trump has come into power and the Republicans are starting to make budget cuts, many of which are targeting state and public universities across the country. This does sound rather worrying for universities, but like most things, there are some morsels of good news to be found. Firstly, enrolment in universities may be down, but graduation from high school is up. This is due, in part, from programs from the Bush and Obama administrations supporting schools in educating children. Of course, there’s also the fact that minority students are now finding it easier to access higher education. This is creating opportunities for more students than there have ever been before. This will only be a good thing, if their numbers continue to grow over the next few years. So, with all the changes that are happening in college education right now, are colleges themselves under threat? Does a college education not hold the same value as it used to? It’s not necessarily a bad thing that numbers are currently declining. As discussed above, this means that more minority groups can access education, creating more opportunities for them. As well as this, students are now seeking out other roles for themselves, ones that may fit them better as a person. After all, not everyone is a born student. Only time will tell if colleges will stick around in the next ten years. As they are though, they will have to make some major changes. These changes need to include open debates in and around the universities about the condition that each individual establishment is in. Also, attention needs to be paid to the actual level of education that’s being provided and quality of the teaching that is experienced. The colleges that do so will flourish, and bring in more students as time goes on. If they don’t, then they may find they start to struggle. 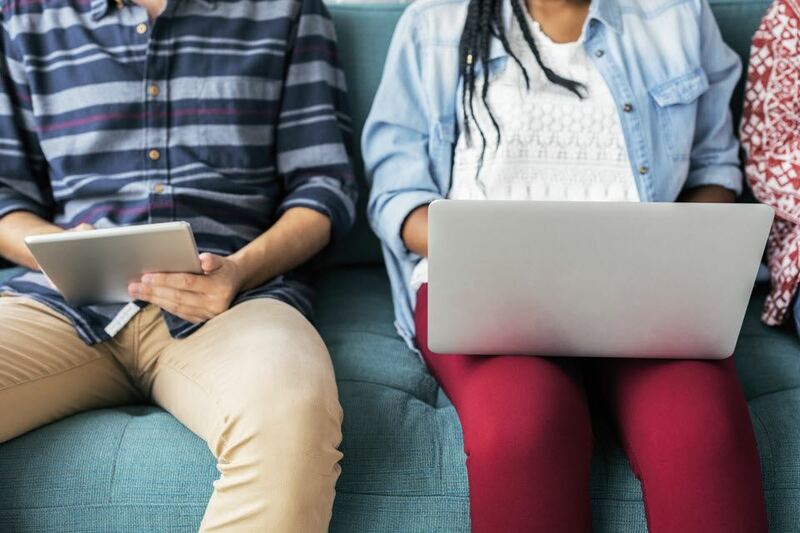 The demographics and numbers may be changing, but that means that colleges may be able to evolve with their students’ needs. How Can Time Tracking Help Students Learn Faster? We all know how hard is to focus on learning while everything around distracts us. Meetings with friends, emails and social media notifications – all of them seem to be more important than studying, especially when the exams are coming. We realize the time mostly when it is too late to work hard. It causes stress, decreases the concentration and makes that we believe in yourself less. It is almost impossible to succeed, right? But there is a way to avoid these situations… And it is more obvious than you think! The answer is… using a time tracker for your computer or mobile device! So many things to learn, so little time to study… Sounds familiar, huh? The perfect organization is the key to success. First, find out which time of the day is the most appropriate for you to learn. Most of the people prefer to study in the morning, but there are some night owls around them! Second, try to eliminate all the distractions – lay your phone down, turn the computer off and tell your parents and friends that this time is just for you. Third, turn the time tracker off to find out how much time it took you to read all the notes or part of the book. It will help you to know which subjects are the most time-consuming or easier to learn in a short amount of time. Most of us write down the hours spent on studying on a piece of paper. But what in the case when the sheets are missing, or we forget to add a note? Using a time tracker helps you avoid failing in the hours keeping. Even if you are at home or school, this kind of tool allows you are logging the hours and assign them to the preferred project. Create as many projects as you need – for the subjects or exams and find out how much time you usually spend working on them. Time tracking software helps you to manage the time devoted to studying and keep it organized, assigned to the projects and tasks. We usually don’t know how much time we will spend on preparing for exams or next classes, that is why it is even harder to take the book down from the shelf. Using a time tracker delivers us the detailed reports about how our time is being spent and points the most time-consuming tasks. This is the best way to start prioritizing and find out the real value of hours spent on learning each subject. Prioritizing leads us straightforward to learning new things faster because we don’t need the extra time to consider what we should do first. You can also connect the time tracking software to the project management tools like Asana, Podio or Trello to manage the activities more efficiently. From the early age, I remember that the more I had been controlled, the better results I delivered. People around me – teachers, parents or older siblings checked the homework and kept on recording my progress. But one day I became too old to let the other people control me and so the other students were. Help comes from the technology because time tracker replaces the human perfectly! Once you launch the app, you will never forget that it’s tracking time for your tasks. It is not a person, but the effect is the same as being under the human control – you do not want to be ashamed of your results, do you? Better results and grades are the best way to find out that we are making progress. But how to check how effective we’re learning new things? Here comes the time tracking software again! With few clicks you can see clearly how your time is being consumed – these tools deliver the detailed reports about the projects and tasks time is tracking for. Hours spent on learning are safely stored in the cloud and ready to use when you need to generate the report. Assign one day per week to analyze the results of time tracking and don’t forget to look over the monthly report! As you can see, time tracking is not only the solution for companies and freelancers! It’s a perfect solution to stay disciplined and see the progress for students, who often have some problems with staying organized. The days of being lazy are over – launch your time tracker on the computer and mobile phone and say hello to the new way of productive studying! Read how yoga can help you learn faster. Social Media Manager at TimeCamp, new media maniac and Ph.D. student. She’s writing about productivity and tries to help people incorporate time management good habits. Find her on her blog, Facebook, and Twitter! Education in itself is a broad term. Innovation in the education industry is being driven by the growing adoption rate of technology by today’s generation. The expectation of learning and inheriting knowledge has changed drastically with time. The growing edtech industry is an example to same. The edtech learning is swiftly moving ahead to be a norm, rather than a trend. The emerging edtech solve current education problems via mobile apps. According to a report, the smart learning market is expected to grow from $193.24 Billion in 2016 to $586.04 Billion by 2021. The inflation in the market has indeed gained the attention of tech junkies globally. However, not many are acknowledged by the technologies that will be ruling the market. Keeping the same in mind, and to head the innovators and aspiring entrepreneurs/startups in the right direction, we have here prepared a list to share the emerging trends in education app development industry that will dominate the market. Visualizing the words and pictorial narrations is quite tough, however, with the help of virtual reality, it won’t be tough for the students to closely view and understand the fundamentals. Schools have started to adopt VR as a method to impart education, but still, there’s a long way to travel. Using the technology can indeed be a great medium to learn. The ‘live’ interaction won’t just help in engaging the students, but will also share the knowledge in much efficient manner. The NLP (natural Language Processing), Artificial Intelligence, Deep Learning etc are some tech innovations that are being looked forward to joining the education app development industry. We have already noticed advent of NLP in applications like Siri and Cortana. With a small interaction with these, we can find the wide scope of AI and NLP in the education sector. For once, let us imagine of having an app which allows you to ask questions related to the solar system, historical events, etc. Sounds cool!! Isn’t it? Enterprises have vastly accepted gamification for employee/user engagement. This process has become an impeccable way to earn attention and loyalty. The gamification commendably amalgamates fun of gaming and value learning. Let us take an example. If you can recall the language-learning website, Duolingo. The website has defined levels to learn and with each level the complexity of sentences increases. The design does possess a pattern similar to any game, in which clearing the levels become a form of a target for the users. However, this is a very basic example. With the advent of gamification in education, we can expect advanced inclusions. It has made a noticeable space in different industries and now it is believed that it’ll be marking its presence in the education industry. Its expertise in keeping digital records secured for years and making them available whenever and wherever you need has gained the attention of innovators in the mobile app industry. This will enable learners to maintain a cloud-based profile for lifelong, which can substantially amass badges and credentials from different kinds of programs and institutions. Georgia State is the most recent example of implementing adaptive learning in education model. As shared by them, they are in a process to avail OER (Open educational resources) with adaptive courseware for their core undergraduate classes. The list includes subjects like political science, economics, history, biology, and chemistry. Using the adaptive materials will allow the students to learn with pace and follow pathways which they find are good for them, or rather easy way to grasp the knowledge. IoT is no new name for the people, and it has indeed proved the expertise by making a space in the day to day lives of people. It isn’t like the education sector doesn’t have the taste of it, but it’s expected that it’ll be expanding its platform. You might have noticed organizations with internet connected light and sprinkler controls, but still, there are many who still don’t. Apart from these, it is also expected that the technology will further expand the reach through building alarms and parking space monitoring systems. Such inclusions will be taking the security standards of educational institutions a step ahead of what we have at present. The launch of new technologies has expanded the scope for aspiring technopreneurs. The education app industry is speculated to go through numerous changes in the coming days. However, the need of the time is to understand these changes and their scope, and further implement them with perfection. You need to take care that implementation isn’t done only to rule the present market, instead, it is also done keeping in mind the competition that is to come ahead. You’re in the middle of writing a 10-page essay on feminism in the digital age when it happens. An amazing idea hits you as you sit in your dorm and you know. Following in the footsteps of Gates and Zuckerberg, you’re ready to start your own business. Here are 5 fantastic tips to help you launch your business and maintain your GPA. Launching a business takes time, effort, time, money, time, plus more time. Client calls have to be scheduled around Econ 201, orders fulfilled the same week your essay for Russian Lit due, and work doesn’t stop for finals week. Many of us already need more hours in a day and as a college student (especially if you’re full-time) your time is at a premium. How does this fit into your life? How much funding will you need for a launch? What products or services are you offering? Do you need to a license? Does your business need to be registered with the state? You can answer all these questions by writing a business plan. This document helps you turn your idea into actionable steps. It also comes in handy when you’re securing funding, but more on that later. We already know your time is precious and one great place to conserve time is in building your website. Do you need a website for your business? Yes, you absolutely do. 81% of customers look online before buying products or services and you don’t want to miss out on those potential leads. It’s simple to get started but the design will take the most time. If you know CSS and HTML, this part is no problem. But don’t worry, there are options for those who can’t cascade style sheets. Web builders like Weebly, WordPress, Wix, and SquareSpace all offer templates you can customize without any coding. Can’t build your own website? Find someone else to do it for you. The internet is full of designers ready to build your site at every budget level and you can approach them directly. If that option is outside of your budget, websites like Fiverr, PeoplePerHour, and Upwork have a database of freelancers offering a their services for a range of pricing. Looking for a free option? Find someone willing to do a skill swap. Offer a designer your product or one of your services for free in exchange for designing your website. Not only will you get a new website, you’ve also made a connection and found a future evangelist for your business. The point is, value your time. You don’t want to spend hours, days, or months coding your own website. And you definitely don’t want to spend that much time learning how to do it yourself before you even get started building one. While it would be a nice skill to have, unless you’re already studying this in school, you should stick to what is going to get you the result you need as quickly as possible. As a student entrepreneur, take advantage of all of the free resources at your fingertips. Set up an official business email address using your own domain. There are free options available which means you have more money to spend on other essential items for your business. Check in with your school’s business center or entrepreneurship support services. Some colleges offer access to space, development resources, pitch days and training, and mentorship opportunities. Are there any classes that could directly support your business? Think outside of the norm and focus specifically on skills for your business. Maybe textile classes, computer science, or design are just what you need to launch yourself. What does your library or college offer to support small businesses? Finally, the Small Business Association website is full of advice, resources, and the latest federal business regulations. Starting a business can feel like a solitary venture but don’t let yourself stay holed up in your dorm room hacking away at a business plan. Some of the best business breakthroughs are born from conversations with other people. So go forth and network. Find events at your school for entrepreneurs. Are any organizations based around starting businesses? Join or just attend their events. Organize your own event by partnering with an established organization. Find out what’s happening in your community. Are there any local or national organizations having events nearby? Is there an upcoming conference you can attend in person or online? Look to social media. Join Facebook entrepreneurship groups. Follow like-minded people on Twitter and Instagram. Find companies you admire and follow them on LinkedIn. Look for a small business or entrepreneur Meetup to attend. The internet is full of people ready to share advice and even pool resources. One important part of starting a new business is finding a mentor, someone you can look to for advice or call on in a pinch. This should be someone you trust and admire and with whom you can have candid conversations. These folks are all around you in college, all you need to do is reach out to them. Talk to teachers, guest speakers, and alumni. If you’re in a fraternity or sorority, reach out to your fellow members. Connect with people on Twitter, LinkedIn, or new apps like Shapr. Be professional, be confident, be yourself, and make the ask. You never know who will say yes. Starting a business always takes effort, moreso when you have to go to classes every day. With the right preparation and support, a successful launch and acing your finals are absolutely possible. Set your goals, know your needs, and find your resources. You’ve got this. Good luck. Moving into student accommodation is very much a defining moment in the lives of many new students. Whether you move an hour away from your hometown, or even halfway across the globe to a new continent – the thought of settling into a new location full of unfamiliar places and faces can still be a pretty scary thought. Leaving home is never easy, and this fact is especially true if it’s your first ever time away from home for an extended period of time. The dreaded feeling of homesickness suddenly becomes a reality. Generally, most student accommodations are pretty standard, mostly bare, and aren’t exactly the most inviting living spaces. As such, they can make even the most independent student feel a little bit on edge and long for the comforts of home. 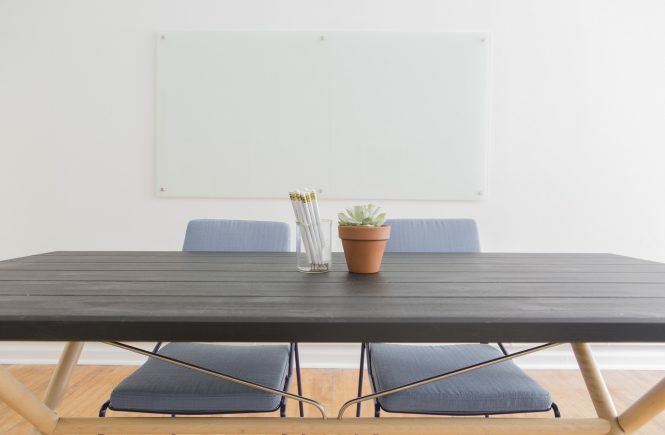 Though all hope is not lost, as thankfully there are a ton of ways you can make your brand new living space much more comfortable to live in, and you can actually transform it into your “home away from home”. Ultimately, you have the power to kick homesickness to the curb before it even has the chance to drag you down. Although it seems like an obvious point to make, sometimes it’s just all too easy to avoid the dreaded task of unpacking when you arrive at your new student accommodation – and so many students are guilty of this. It could mean that you live out of a suitcase for months on end – which certainly isn’t a great habit to adopt. By not unpacking your belongings and organising them where you want them to go, it becomes that much more challenging to feel settled in your new environment. Everything will always feel temporary – which, technically it is when you’re living in student accommodation – but you can make the effort to create an illusion of permanency.. 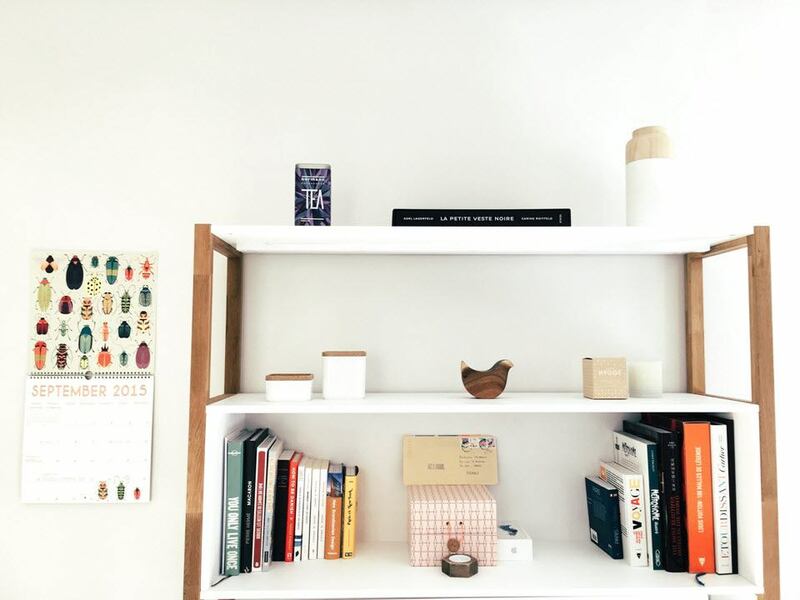 Create a real sense of ownership by getting yourself organised, and you’ll instantly start to feel much more comfortable in your living space. Don’t be afraid to put your own spin on the room by rearranging the furniture in a way that feels best for you. Many student accommodations will come ready-made with a bed, a desk, and other basic, essential items of furniture – and many will be laid out in the same way. Even if you simply want to move your bed so that it faces a different direction – don’t hesitate to rearrange the furniture in whatever way makes the room feel most inviting to you. Adjusting the lighting is one of the most effective ways to completely transform the feeling of a room. When you play around with lighting, it becomes super easy to create a warm and inviting space – somewhere that you’ll feel comfortable to both study and relax in. Fairy lights are the perfect, traditional choice to give your room a warm, charming glow. You could even mix it up by adding a string of paper lanterns, or find other ways to get creative with your mood lighting. There are a ton possibilities. When considering what to take to university, don’t forget to include some personal items that can truly tailor your new room to you. Your room will likely be a blank canvas when you arrive, so you have the freedom to add anything from snaps of you and your loved ones, to posters, to sentimental items – adding things that are much more ‘you’ will make you room that much more enticing, and will stop you from dwelling on your longings for the comforts of home. Your sense of smell is a pretty powerful thing, and is often a direct link to memories. So, consider the aromas that remind you of home and add them to your new room for that sense of comfort – be it with candles, room sprays or reed diffusers. Adding the feeling of warmth to your room gives it that cosy feeling, and as such you’ll find it much easier to relax. There are a ton of ways you can add warmth to a room, such as laying down a soft rug, adding warm blankets and throws, layering cushions, and so much more. Believe it or not, plants can really help to spruce up a space. Adding some greenery instantly gives life to a room – it adds subtle pops of colour as well as texture. They also play a part in providing a calmer environment – which is a huge yes for any student. You might opt for a beautiful house-plant (just don’t forget to water it!) as it’ll do its job in purifying the air. Or, you could always choose something that requires a little less maintenance, such as a small cactus or succulent. One of the greatest luxuries of living at home is sinking into your own comfortable bed at night. Although bedding might be provided for you upon arrival at your student accommodation, oftentimes these can feel a little lifeless. By investing in some comfortable bedding, as well as bed linen, you can make your bed feel just as comfortable as yours back home – you may not even miss it. Written by Katy Mairs, blog editor for UniBaggage.com – The No.1 Student Shipping Company. Going to university for the first time is a pretty exciting prospect. 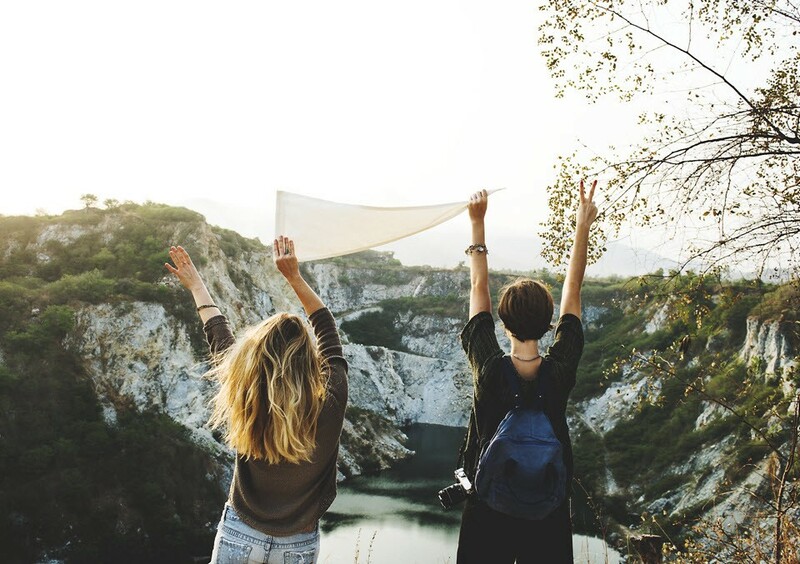 After 18 years of living with your parents and going to school every day, you finally get your first true taste of total independence – living on your own with the freedom to do whatever you want. The practical side of preparing for university isn’t quite as much fun. Packing in particular can be a bit of a nightmare – what on earth do you need to bring to survive an entire year on your own?! There are of course many “what to take to university” checklists out there, and while these are extremely helpful, they often don’t solve the whole problem. As every student has a vastly different experience, the items that are essential for some, may well be luxuries or unimportant to others. For most new students, clothing forms the bulk of their luggage, as you’ll need enough pieces to get through every season and for the multitude of events and nights out. It is therefore tempting to just dump your entire wardrobe into your suitcase and hope for the best, but this should be avoided if possible. Not only is wardrobe space fairly limited in university halls, but you probably won’t end up wearing even half the items you bring. Most students will tell you that the majority of time is spent in comfortable clothes and loungewear. So as long as you have plenty of these garments along with a few more formal pieces and ‘going out clothes’, you’ll make it through. A great rule when packing for university is to leave behind any item which you can easily and inexpensively replace when you get there. Toiletries are a good example of this. Huge bottles of shampoo, shower gel and beauty products can take up quite a bit of weight, which can be especially crucial if you’re traveling to university by plane, where weight allowances are pretty strict. Although you might have hopes of being the most prepared and conscientious student, but try not to bring your entire collection of books, folders and old school notes with you. University is somewhat of a fresh slate, meaning that your old school books won’t be of much use or relevance. And if it turns out that there is an old school textbook that you do absolutely need, you can use a student shipping service or a low cost courier to send it to you from home. In addition, try not to purchase and pack your entire university recommended reading list ahead of your studies. Buying and packing all of these books before you leave is not only expensive, but also impractical. Books will weigh your luggage down and despite being recommended by your lecturers, most students often do not need to purchase every single title – some can be borrowed from the library or swapped between classmates. In university halls and student accommodation, kitchen items such as kettles, microwaves and toasters will be provided for you. Additional ‘luxury’ appliances such as rice cookers, panini makers and blenders etc should be left behind. Although it would be nice to have all the comforts of your kitchen at home, your kitchen at university will be shared and therefore the risk of damage or even theft is increased. When it comes to kitchenware, simply bring the basics such as cutlery, bowls, plates and saucepans. If there’s anything else you need, you can usually purchase these things easily from a nearby department store or supermarket. Having your own printer seems convenient, in theory, but unless your course requires a significant amount of printing, it will be unnecessary unnecessary. Not only are printers difficult to transport, but the printers in your university and library will be just as handy. Plus, when others hear that you have your own printer, you’ll soon be inundated with requests from friends to just print ‘one little page’ for them. These requests soon add up and the cost of replacing ink cartridges can be more expensive that the cost of university printing credits. Written by Lana Richardson, blog editor for UniBaggage.com – The No.1 Student Shipping Company.